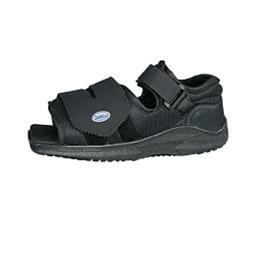 This shoe offers protection and support following osteotomies or othersurgical operations. The Post-Op Shoe is designed large enough tocontain even the bulkiest dressings. The breathable mesh upper conformsto any abnormalities of the foot and the flexible sole aids in patientmobility and comfort.